Excellent company, high quality clothing & professional service. Having purchased from the company many times before I have no hesitation in recommending their quality and service. 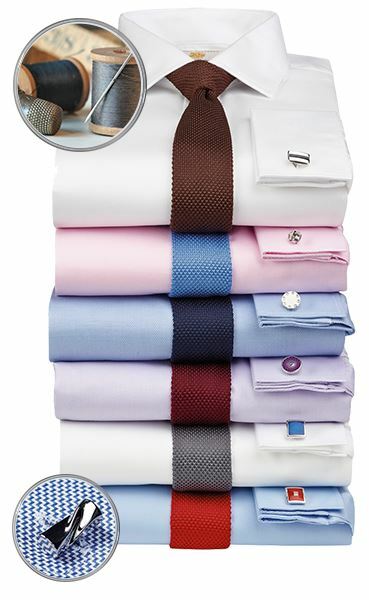 Good offer and very pleased with the shirts. The delivery was, as always, extremely quick. It is very comforting to know that I can order online with confidence not only that the quality will be excellent but also that the delivery will be prompt. Great service and would highly recommend..
Nice double cuffed shirt, solid collar (not flimsy like some other manufacturers) with a good classic cut. 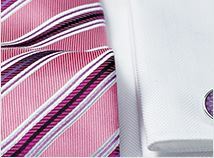 Stylish,chic, double cuff , bold color that matches the Suit @ a price that's unbelievable. Large range of sizes. Very classy looking and of course matching tie ! Excellent quality and fit on me perfectly. 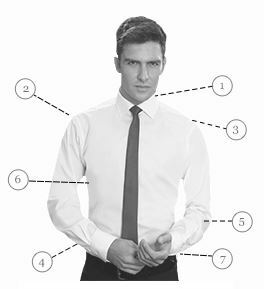 How much difference in waist size is there between a tailored fit shirt and a non-tailored fit? Our tailored fit shirts will be approximately 2-3" slimmer around the waist area. I notice that a lot of the newer shirts all have a fixed sleeve length of 35". 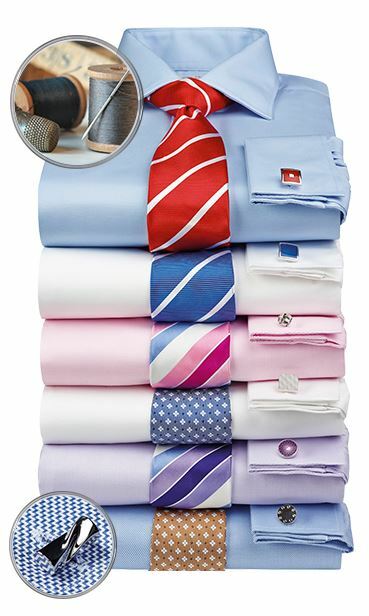 I'm sure that this is convenient from the supplier, but as a man with longer arms, I can't buy any of these nice shirts, as the sleeve length is too short. I would gladly pay an extra few £'s to have the option to order the shirts with a longer sleeve length. ie 36.5" or 37. Please can you order shirts with a longer sleeve length? 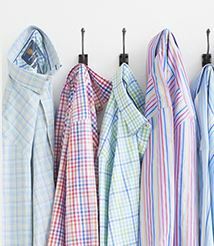 We do have a small selection of formal shirts with longer sleeve length of 36.5", and you can view these shirts by selecting this sleeve length under the subheading of 'Formal Shirts' on our website.